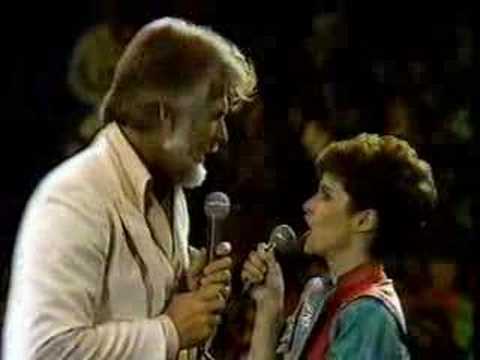 Country music sensation Kenny Rogers was on a duet streak in the early 80’s. He joined forces with the likes of Dottie West and Dolly Parton for a wave of hit singles. His magic touch reached its zenith when he teamed with UK born Sheena Easton for We’ve Got Tonight. Easton, who had hit the charts in a big way in 1981, scored chart topping singles with Morning Train (Nine to Five) and For Your Eyes Only among others. She was one of the hottest artists around when Kenny asked her to duet with him on We’ve Got Tonight. It may have seemed like an unlikely pairing, a country music star and a pop diva, but the combination worked like a charm. They possessed a chemistry that was unbeatable. We’ve Got Tonight soared into the Top 5 and went gold. Here in a concert appearance from 1984, Kenny is joined onstage by Sheena and the two of them scorched an adoring audience with a rousing performance of their hit song. It still packs a wallop.